Wanting to bring the fitness experience in home is a desire that has sprung up for many out of the sheer convenience. However, keeping clunky machines in the home isn’t very pragmatic for most. There are a myriad of apps out there that try and replicate the in-person fitness studio experience but they are reliant on you working out using a tiny mobile device while you are moving around, resulting in a less than ideal scenario. Enter MIRROR, a connected fitness systems that streams on-demand classes through a high-quality display that serves as a mirror when not in use. Set to release in Spring 2018, MIRROR hopes to transform in-home fitness through a combination of elegant design and sophisticated hardware. 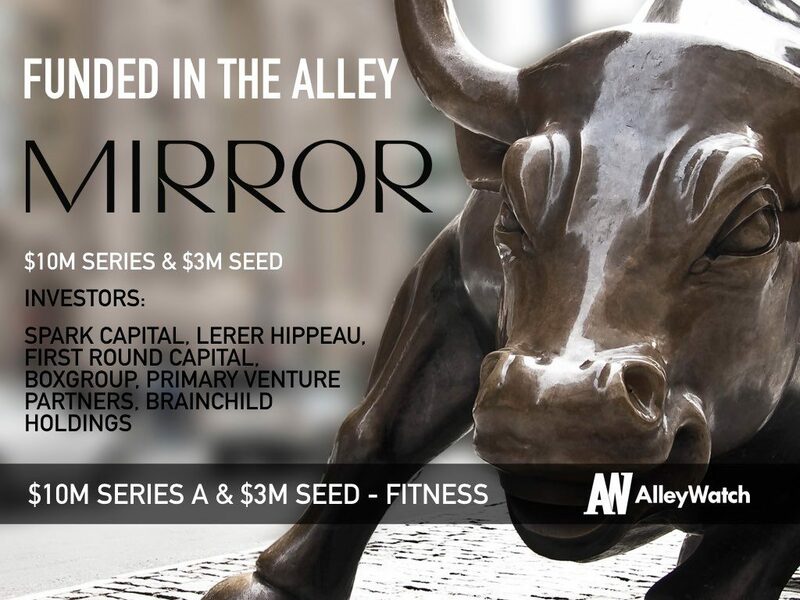 AlleyWatch chatted with founder and CEO Brynn Putnam about the excitement surrounding the MIRROR, its imminent launch, and the announcement of two funding rounds. MIRROR is announcing $13 million in financing. 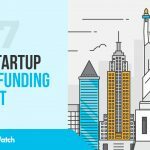 Specifically, we’ve raised $3 million in Seed funding and $10 million in Series A. We’ve been very lucky to have some amazing partners like Spark Capital, Lerer Hippeau, First Round Capital, BoxGroup, Primary Venture Partners, and Brainchild Holdings. We’re using this capital to enhance all areas of the business: technology, operations, customer success, as well as marketing for launch. We’re amazed that we’ve gone from a Raspberry Pi in my kitchen to a full hardware, software and original content platform in under 18 months — roughly half the time of an average hardware startup, and this velocity wouldn’t be possible without the team we’ve recruited and the support from our investors. MIRROR is the first connected fitness system that streams live and on-demand classes to users in-home via a sleek responsive display. The content is then personalized in real-time using a combination of user feedback and biometric data. For the first time, MIRROR brings the essential components of a great studio workout–variety, personalization, and community–to the most convenient place: your home. What inspired you to start MIRROR? MIRROR is the combination over a decade of experience in the trenches of the fitness industry as a professional ballerina and founder of Refine Method, a chain of boutique fitness studios in NYC. Like many of my clients, I found myself fighting my “real life” for my fitness goals. Working out shouldn’t be a sacrifice, but today’s in-home options sacrifice quality for convenience — and as anyone knows who’s tried watching fitness videos on a propped up iPhone, “convenient” is hardly how I’d describe the experience. I didn’t want a clunky bike or treadmill in my living room and streaming apps lacked the variety, personalization and community that I enjoyed for years in classes at my fitness studio. I set out to figure out how technology could be used to build the first in-home workout without compromise. Good fitness is the foundation of a good life. Confidence in your body is the foundation for everything. I’m excited to be building a Mirror that makes people feel good about themselves. The offline fitness experience hasn’t been successfully replicated in home. Equipment, like bikes and treadmills, offer limited variety in a clunky footprint; streaming apps offer limited personalization or interaction, all while trying to follow a tiny screen. With MIRROR, we are creating a new category of in-home fitness that unites cutting-edge hardware, responsive software, and best-in-class content for an experience that rivals (and even enhances) the in-person experience. MIRROR is made for busy people who don’t want to sacrifice quality for convenience. The US fitness market is $25B, and its fastest growing segment is boutique studios, showing the increasing prioritization of quality fitness content and instruction. Despite the wild growth of the studio space, ⅔ of Americans still work out in-home. However, in-home workouts have historically meant sacrificing quality for convenience–clunky equipment, little to no instruction, and stale content. The dust on my parents’ NordiTrack and The Firm VHS tapes tell a clear story: no one has been able to bring a vibrant, personalized fitness experience into people’s homes and make it stick. At launch, MIRROR will be sold direct to consumers nationwide. Clients will purchase the Mirror and then select a content subscription for access to unlimited live and on demand classes. After you purchase, a white glove delivery service will deliver and install your Mirror on the wall or set it on a stand. Doesn’t MIRROR limit the places where you can work out given its physical form? Every workout can be performed within the space of a yoga mat, and no equipment is required. 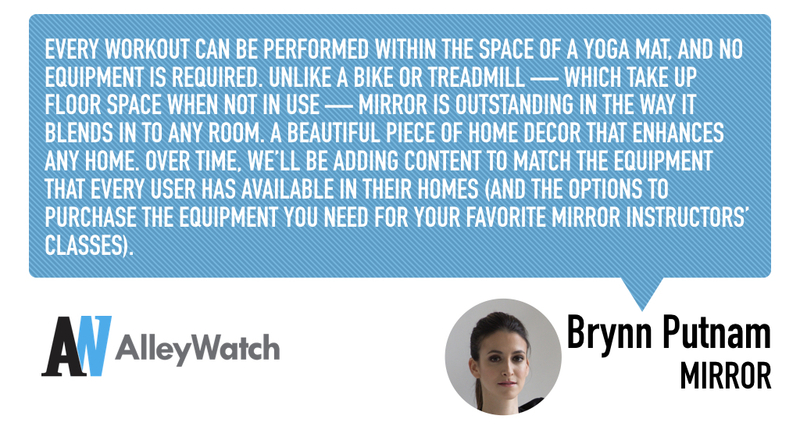 Unlike a bike or treadmill — which take up floor space when not in use — Mirror is outstanding in the way it blends in to any room. A beautiful piece of home decor that enhances any home. Over time, we’ll be adding content to match the equipment that every user has available in their homes (and the options to purchase the equipment you need for your favorite MIRROR instructors’ classes). We were extremely lucky to meet with incredible investors early on who understood our vision. We have an extraordinary mix of people who’ve had success with both groundbreaking hardware and the fitness category in the past. Seeing is believing the Mirror–nothing like it exists on the market. Once we were able to show the experience to investors, the product really sold itself. With no other products offering such a diverse, immersive experience, MIRROR really stands without competition in a market that is growing by billions each year. We are set to launch this spring and are looking forward to bringing great workouts to people across the country. By the end of 2018, we expect to be delivering workouts to thousands of clients across the country. However, the key to a successful launch for MIRROR is going to be attention to the customer. Our customers are joining a community, and we need their experience to reflect that. For me, my ‘aha’ funding moment came when I realized that Mirror was a product that needed to be experienced to be valued. So I crafted my pitch and our roadmap to showcase the ‘experience’ as quickly as possible. Similarly, I’d advise companies to think about why their customer doesn’t just buy the product but why the customer is fascinated by the product. If you’re a data business, show your analytics engine at work and real results. Investors are consumers, and you don’t just need to pitch them, you need them to buy. We’re announcing the availability of MIRROR nationwide within the next couple of months. By the end of 2018, we expect to be delivering workouts to thousands of clients across the country. However, a key to a successful launch for MIRROR is going to be attention to the customer: our customers are joining a community, and we need their service experience to reflect that. We’re really excited by the quick progress we’re making, so stay tuned. Anyone who delivers waffles at midnight deserves a Michelin star in my book.